Vanke Research Center, by Z+T Studio, Shenzhen, Guangdong Province, China. Urbanization has always exerted a considerable impact on the environment and the social activities of people. Shenzhen, China, once a hilly region with fertile agrarian lands, is now one of the fastest-growing cities in the world. The bustling city is experiencing an unprecedented boom in the construction of its modern cityscape and, simultaneously, seeing the demise of its green, hilly regions to explosive urban sprawl. With this changing dynamic between land and people, there is an urgency to develop a vernacular system to express that relationship. 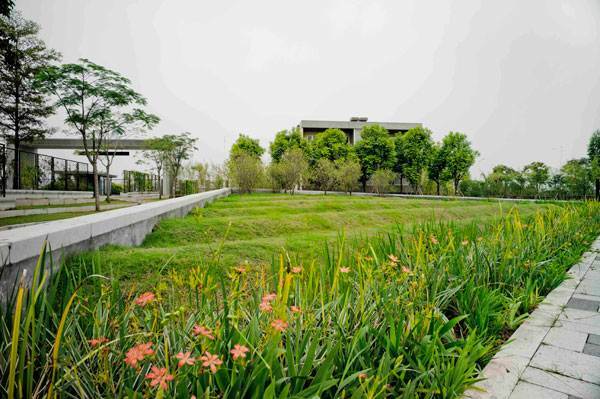 In this project, landscape architecture emerges as an art of survival. 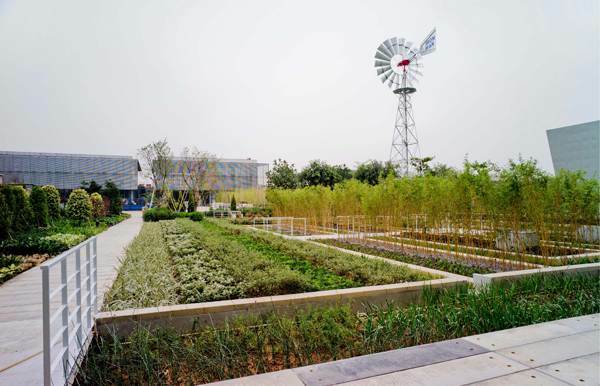 Vanke, one of China’s largest real estate developers, aimed to develop a research center on the potentialities of an urban landscape. The result is a successful design filled with innovative green ideas. What is the Vanke Research Center doing to grab our attention? 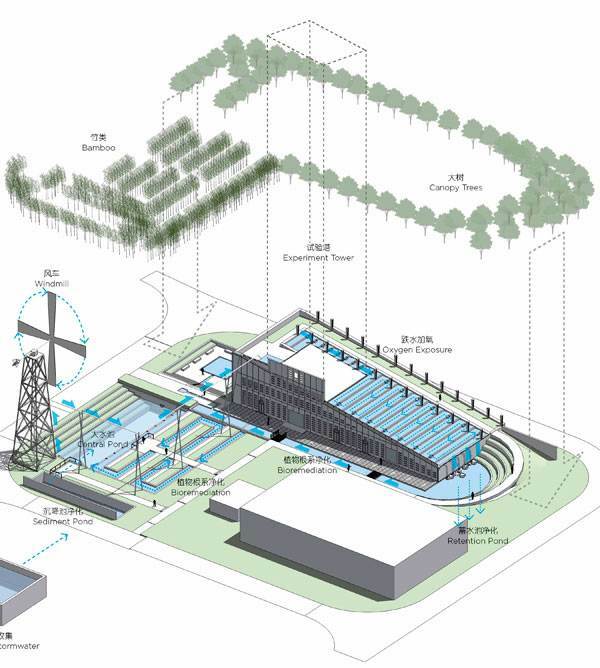 The research center is a testing ground for sustainable projects. 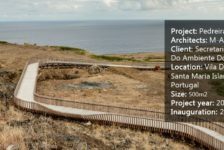 The company wanted a place to show off the innovative architecture of its latest properties and the work of its research group. 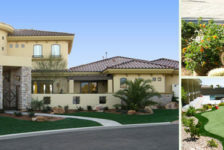 Environmentally friendly housing materials and native habitats are being introduced to transform the research center into a low-maintenance and eco-friendly campus, which provides diverse services to the city, including containing and purifying stormwater, recovering native habitats, and creating opportunities for environmental education accompanied by aesthetic experience. 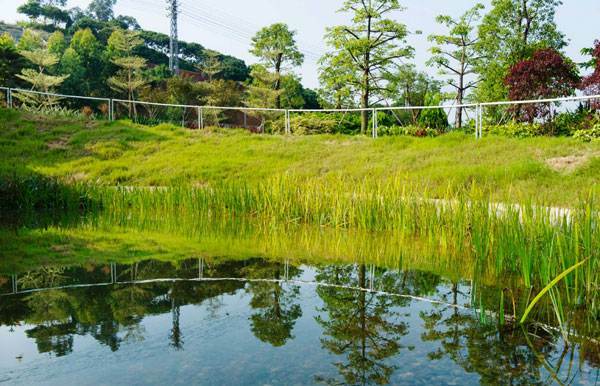 What is the importance of stormwater management? 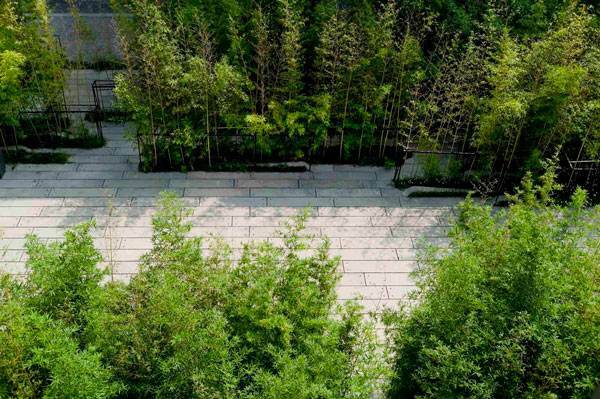 Urbanization often results in the clearing of trees and grass and their replacement with hard — or impervious — surfaces, such as concrete and brick. When that happens, rainwater does not seep into the ground as fast as it used to, but runs over nonabsorbent surfaces and picks up in quantity and velocity. In short, the hydrologic cycle has been altered. Flooding and erosion often result. The quality of our water may also be degraded by stormwater runoff. Impervious surfaces have pollutants on them, such as oil and other lubricants, pesticides, fertilizers, and other elements that may be toxic. These contaminate our water sources. 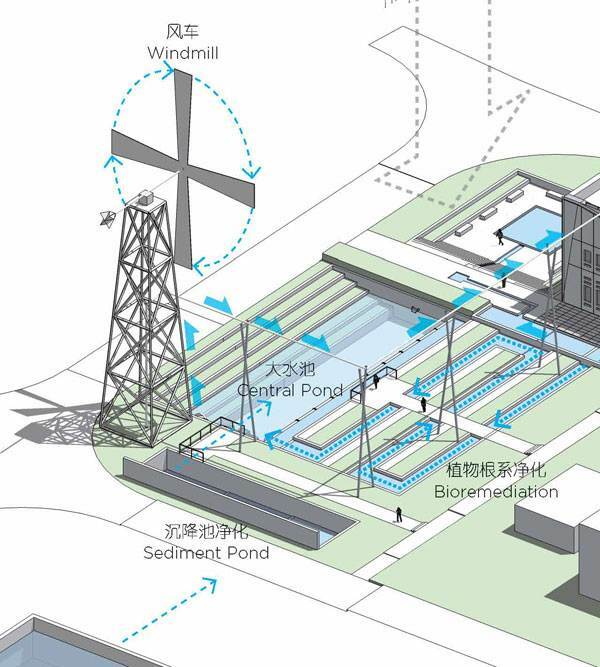 Thus, to prevent inundations and to alleviate water pollution, design strategies are needed to integrate green practices into stormwater infrastructure. 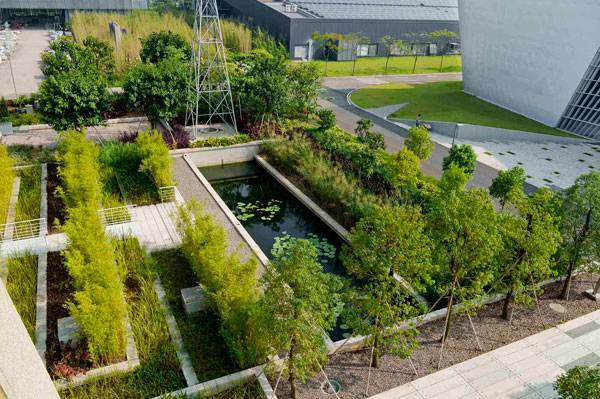 How does the Vanke Research Center manipulate landscape designs for stormwater management? 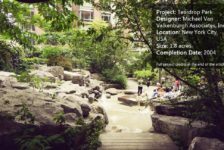 Design experiments in this project explore ways to stitch eco-friendly ideas into the existing urban fabric. Runoff quantity control The project uses turfs and trees to help control the amount of stormwater flowing through the landscape. 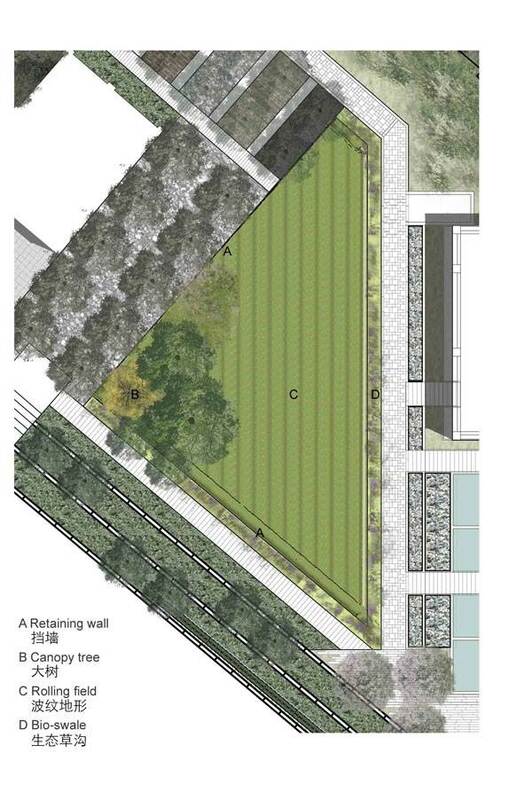 Two small triangular sites are designed as “ripple gardens” that examine the efficiencies of turfs over bushes to control the flow rate of stormwater. From experiments, canopy trees have been proven to be the most efficient way of controlling water flow, thanks to the prolonged rainwater-dripping period they provide. 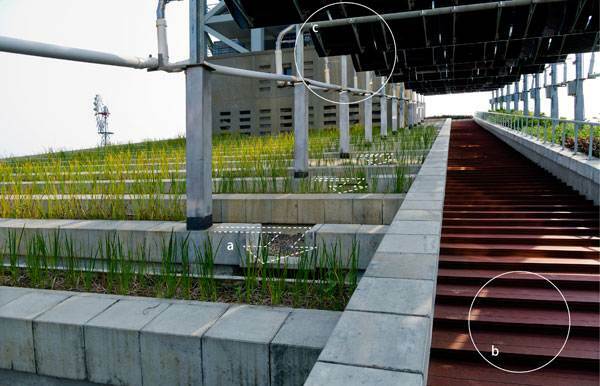 Terraced field Terraces have been created to slow the runoff directed to an onsite stream. 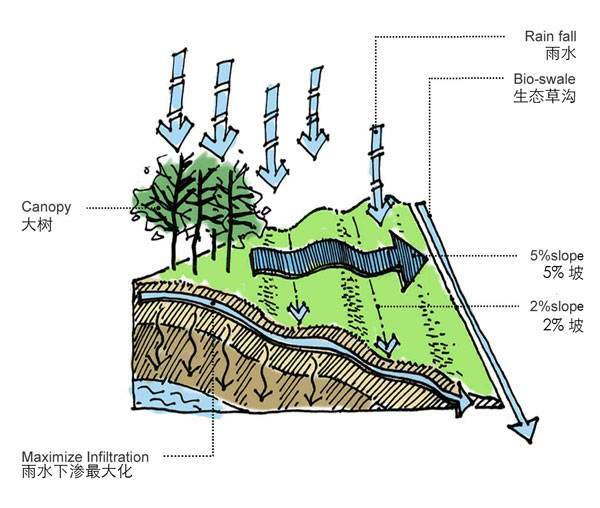 To achieve the best infiltration effect, the slope can also be adjusted, avoiding any conditions of waterlogging or speedy flow. Bio-swales Bioswales are vegetated landscaped channels that are designed to provide drainage and further attenuate the peak flow rates of stormwater runoff. An aim of reducing impervious surfaces Different hardscape materials are experimented on in a semi-circular parcel. 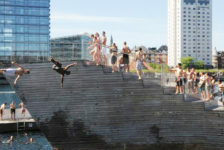 The space between the waves adopts different pervious material (bark, ceramics, gravel, wood chips, sand, etc.). The edge of the waves is designed to observe and compare the permeability of different materials. Low-maintenance construction and planting materials In the overall design, precast concrete is used. Precast concrete modules are hardly different from those of granite in terms of appearance, size, color, and texture. Then, why choose precast concrete? The replacement of precast concrete over granite avoids extreme mining. 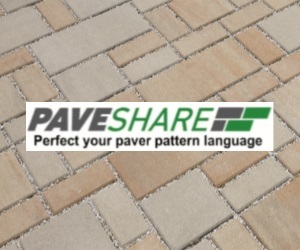 Most paving areas employ concrete sub support slabs in China. 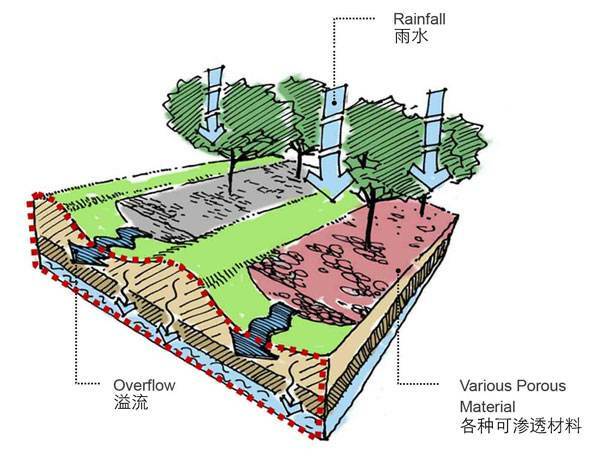 Therefore, the penetration of rainwater becomes difficult where there is pavement. But precast concrete is so thick that the concrete slab can be defaulted, and the rainwater penetration can be strengthened. Precast concrete is ecological because of its natural raw materials. 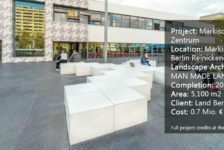 Moreover, precast concrete can be customized to enable grass-embedded pavement, enriching the aesthetic quality and ecological significance of pavement areas such as parking lots. Precast concrete is versatile because of its moldability, which allows designers to use it for benches, bike racks, etc. Research is being conducted to improve the endurance and customize the appearance of precast concrete so that it can be used widely in future housing projects. 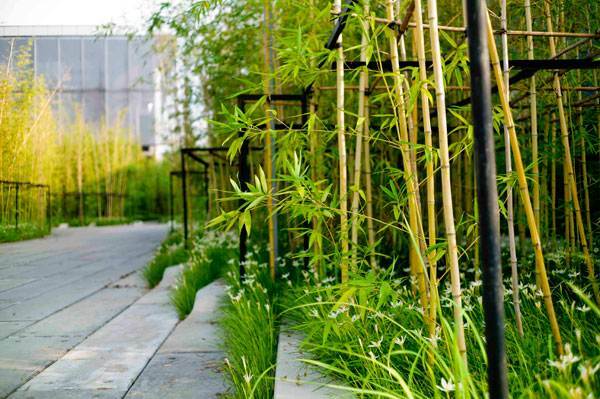 Planting materials Native plants such as reeds and bamboo, which can grow with little maintenance, are chosen based on their ability to integrate water retention and purification functions with the aesthetic significance.